Game Fishing NSW- Sydney Game Fishing Charters -With our 39 foot Flybridge Cruiser we can take any keen angler to prime fishing locations in Sydney waters. We are equipped with latest electronic equipment , and the best in fishing equipment.We target Marlin, Yellow Fin Tuna & Game Sharks, and our aim is to get you in the thick of it for a catch of a lifetime. 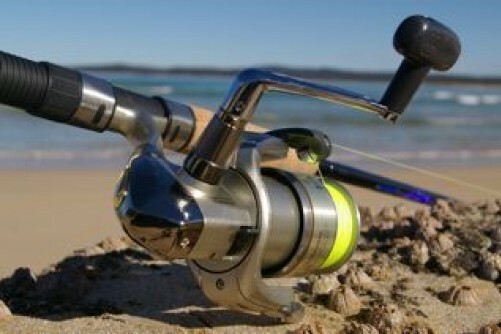 The Sydney offshore fishing grounds offer some of Australia’s best gamefishing. 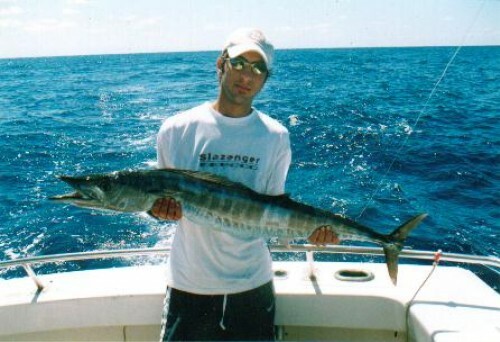 Blue, Black and Striped Marlin are all available from November through to May each year. The cooler months of the year offer large Yellowfin Tuna, Bonito and Sharks. 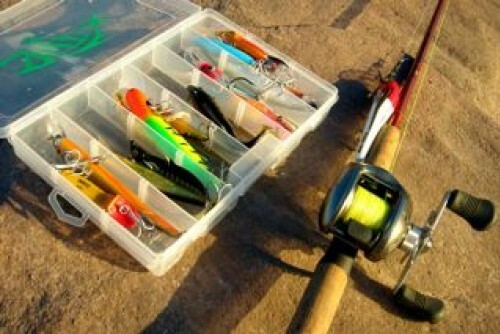 If Game fishing is something you’re in to or have always wanted to try, then look no further. 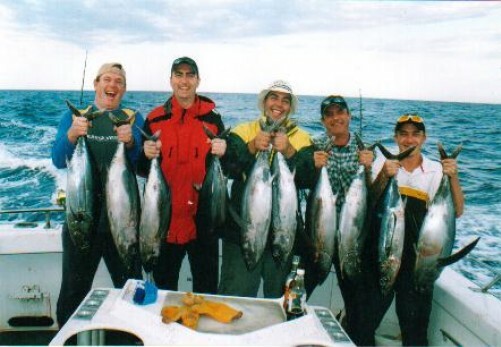 Wahoo game fishing charters in Sydney will take you through this “holy grail” experience! Price: $1470 (6 people) – $xxxx (10 people) prices are subject to change depending on season and fuel cost.